4chan is at it again. With Wonder Woman reigning supreme at the box office – for the record, Patty Jenkins’ DC origin movie has racked up $440 million worldwide, and is now the third highest-grossing domestic film of 2017 behind Beauty and the Beast and Marvel’s Guardians of the Galaxy Vol. 2 – the DC Extended Universe has been thrust under the microscope once again, and 4chan has relayed the latest helping of DC-related speculation for us to dissect. Coming to us by way of Reddit, before we get into things, it’s important to stress that 4chan’s report ought to be filed firmly in the rumor cabinet for now – remember, Warner Bros. plans to keep a lid on its release plans for the likes of The Batman, The Flash, and Gotham City Sirens until Justice League swoops into theaters in November. Nevertheless, the rumor mill continues to operate at full tilt, and one possible nugget of information concerns Matt Reeves’ embryonic spinoff featuring the World’s Greatest Detective. 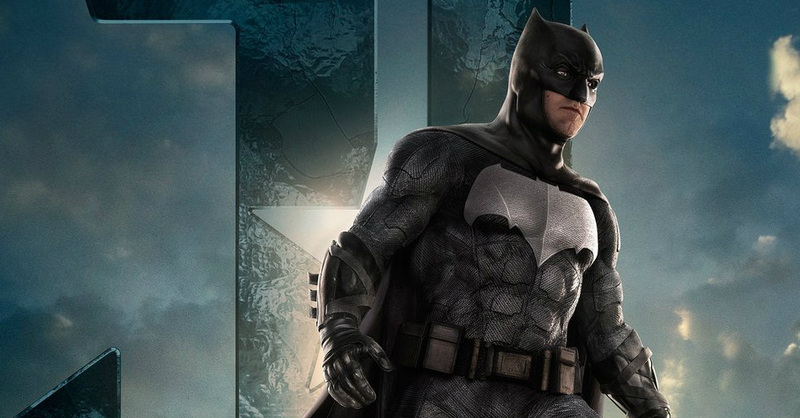 Without a release date to report at this time, there’s still much we don’t know about The Batman – ditto for the potential involvement of Josh Gad as The Penguin – but 4chan’s findings go on to claim that Reeves is in the process of “adding more villains” to the standalone pic, and that the actual story will find Ben Affleck’s Caped Crusader returning to Gotham City during its darkest hour. That largely comes down to the fact that Bats has been busy assembling the Justice League, and it seems his absence has been felt on the streets of Gotham in the sense that it’s opened up a power vacuum for the city’s many crooks. There’s also the small matter of Red Hood, who has allegedly been earmarked for a potential sequel. The Batman film is being rewritten. Deathstroke will still remain part of the film but Matt Reeves is adding more villains. The story will focus on how crime in Gotham has risen due to Batman being busy recruiting the Justice League and fighting the forces of Apokolips . Batman has to return to Gotham to clean up the streets once again. The film will also set up Red Hood for the sequel. Ben Affleck’s Caped Crusader will next be seen at the forefront of Zack Snyder’s Justice League on November 17th. This, coupled with the fact that Matt Reeves has his hands full with War For the Planet of the Apes, leads us to believe that The Batman won’t begin filming in earnest until 2018.